Dimensions of the Group Lock Box are 200x150x90mm, excluding handle. 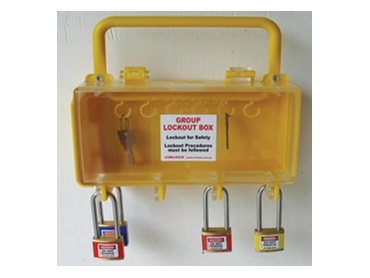 The lock box is also available in solid red or yellow. The Group Lock Box is in stock at Cirlock’s warehouse.